Then, things were looking up for Tessa. Her mum was finally getting her life back on track. Tessa had started seeing Nick. She was making new friends. She’d even begun to paint again. Now, Tessa and Nick are trapped in the car after a corner taken too fast. Injured, stranded in the wilderness, at the mercy of the elements, the question becomes one of survival. But Tessa isn’t sure she wants to be found. Not after what she saw. Not after what she remembered. Life has not been great for Tessa. Her dad committed suicide, her mum became an alcoholic, and she became the weird kid by having a public breakdown in front of her entire school. When a nearby private school closes down and half the students end up in Tessa’s public school, she holds hope that the influx of new students will take the heat from her. It does more than that, because with the influx comes Nick Kostas. He was school president at his old school, and he is unbelievably handsome and perfect in every way – but especially in the way he adores her, and only her. 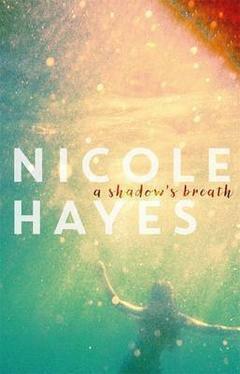 A Shadow’s Breath starts just as life is starting to look up for Tessa. Now, not only does she have Nick (who loves her so much it sickens her best friend, Yuki) but her mum has finally had the scary wake-up call she needed and has left her abusive boyfriend, starting a new life of her own as a recovering alcoholic. Even so, Tessa understandably has trouble trusting and forgiving her mum. We find all this out through flashbacks though because the story really starts with a car accident in country Victoria. The flashbacks to ‘Then’ feed beautifully into the struggle for survival ‘Now’: meeting Nick in the past; her mum making her breakfast for the first time in years; the cautious hope for survival Tessa feels in the immediate aftermath of the accident. An argument in Nick Now is an echo of an old fight Then. As the story moves on, Then seamlessly turns into Now, and the tears you were shedding for events of the past become the tears you are shedding for the events of the present.